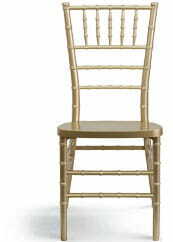 The Wood Chiavari Chair is ideal for weddings, banquets and special events from casual to the most elegant. Constructed of high quality hardwood, this chair is very lightweight, yet extremely strong and wobble-free. 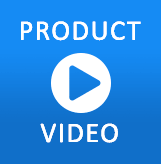 The frame has reinforced stress points that give it the capacity to hold up to 1100 pounds. Steel flat socket cap screw and nut ensure durability and special 45° joints on the bottom of the front seat section increases the chair's stability. These beautiful chairs ship fully assembled, and can be stacked 10 high for storage.